Justice Terry Sheahan’s orders were ignored and the brothers now face jail after each pleaded guilty to four counts of contempt. Photographs taken last Friday compared with pictures taken in August show the Kara-Ali brothers continued to undertake work at the Putty Road site after the orders were made. 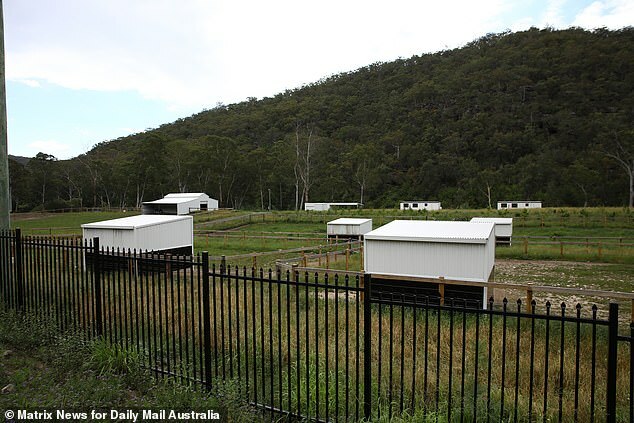 The frame of a barn is clearly visible in pictures taken a week before the court orders. 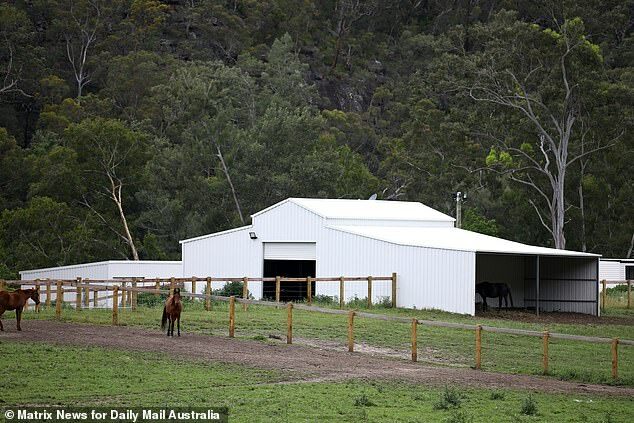 Three months later that barn has been completed and is housing Arabian horses. Last month a lawyer for the brothers said they had removed religious signage from the property as well as flags and flagpoles. Little else seems to have been done to comply with Justice Sheahan’s orders. 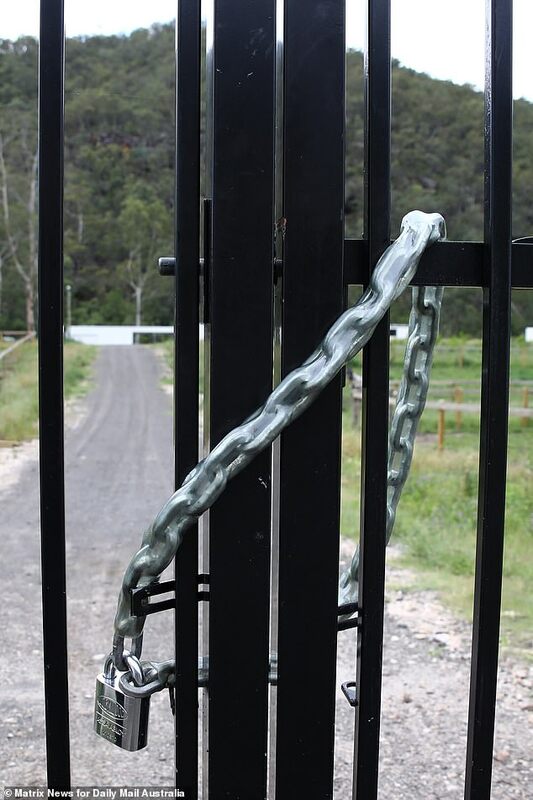 ‘My clients have indicated they want to enter into discussions with Hawkesbury Council,’ the lawyer told Justice Sheahan. 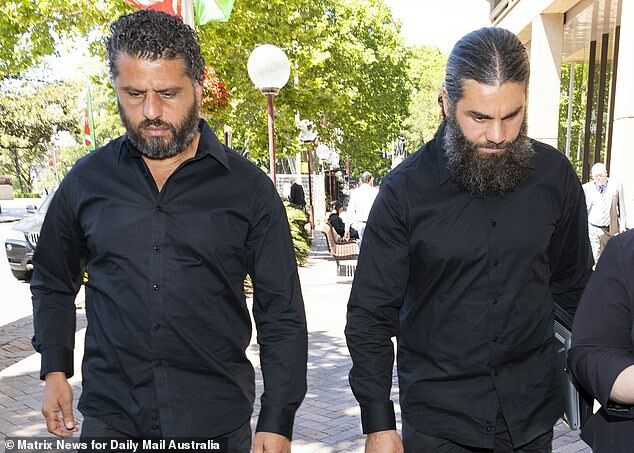 The Kara-Ali brothers had previously said they would not obey Australia law and indicated they would refuse to abide by any court rulings over their religious retreat. 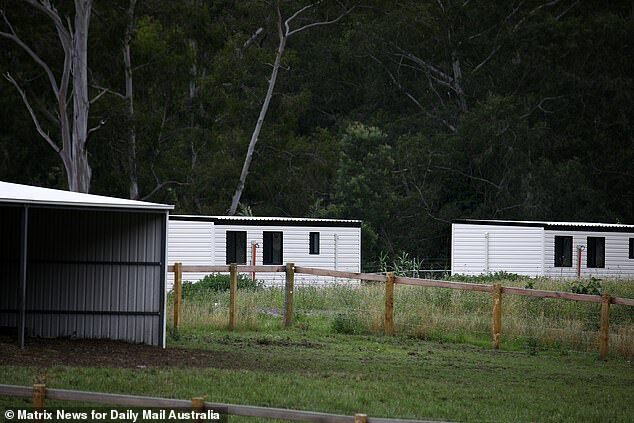 Mustapha Kara-Ali had told Daily Mail Australia he would refuse council officers access to the land, stating they were ‘Cruasaders’ and an affront to Islam. He and Diaa refused to attend the court because they did not recognise its authority. 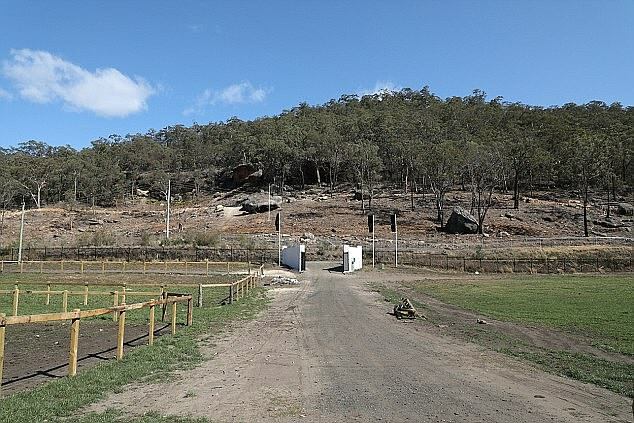 The brothers maintained their resolve after Justice Sheahan found they had undertaken land clearing and earthworks in breach of planning laws and had built structures without approval. 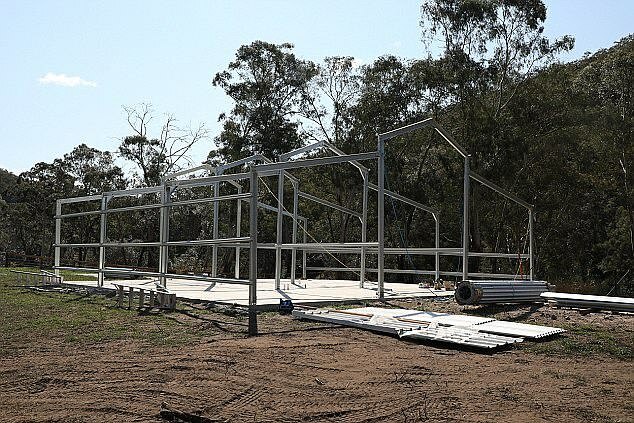 Justice Sheahan ordered all structures on the site including an elaborate entrance, four flagpoles, three concrete slabs, a shed and the partly-built barn be demolished. 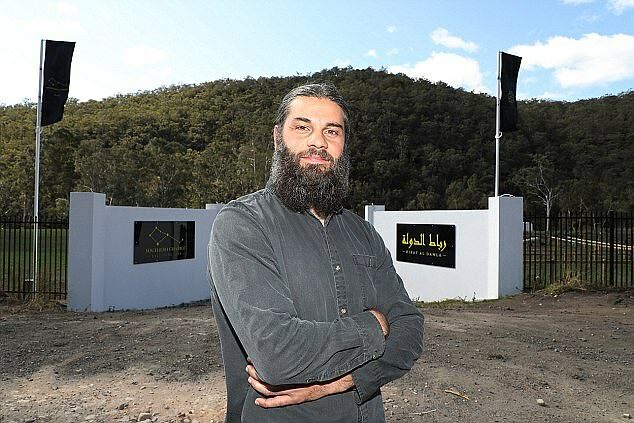 The Kara-Alis were building the retreat under the auspices of the Diwan Al Dawla Islamic guild, which bought the property for $670,000 in May last year. 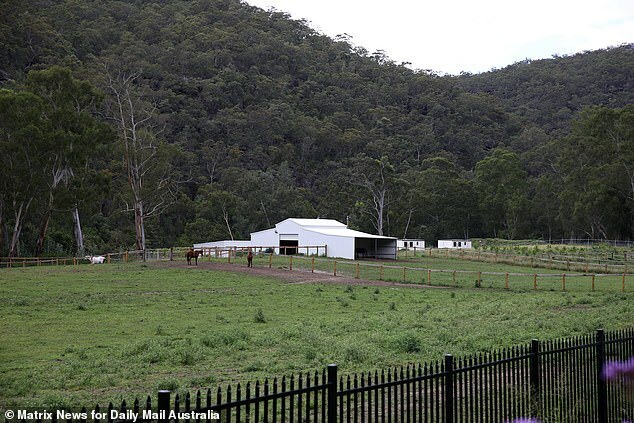 The 12 hectare property has been home to about 30 Arabian horses which the group intended to use to help troubled Muslim youth, particularly from western Sydney, engage with God. 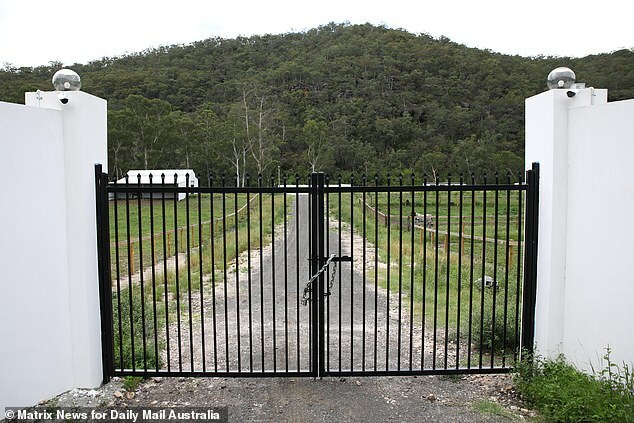 The council launched civil action against the brothers alleging they had carried out illegal land clearing and earthworks and built gates, fences and driveways without approval. 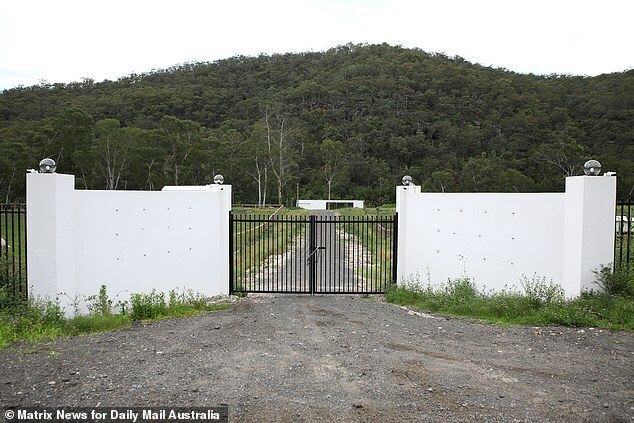 The brothers agreed they had not sought approval for the work and said they had no intention of doing so because they did not recognise Australian law. ‘My main issue is the interference between the secular and the religious,’ Mustapha Kara-Ali said. ‘What we are saying in a nutshell is the country of Australia is entrenched in secular symbolism and religious symbolism that stretches back to the time of the Crusades. ‘This means that this government is not secular. It is religious because it carries these symbols. ‘And we refuse for pagan symbols such as crosses to be on top of our lives. ‘We believe in our cause. We believe we are pioneers of religious freedom in this country. The court heard the conflict turned ugly in July when three council officers attended the property to serve papers on the Kara-Ali brothers. A dashcam video tendered to the court showed the pair confront the officers. 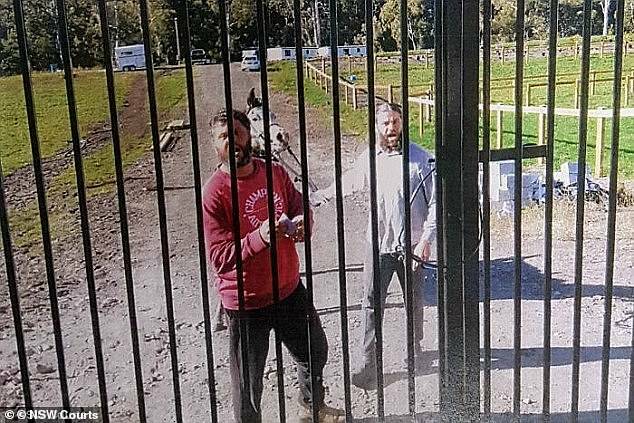 ‘Both men were repeatedly yelling obscenities from the other side of the gate, calling out, “You dogs, I step on your cross”, one of the council officers alleged. 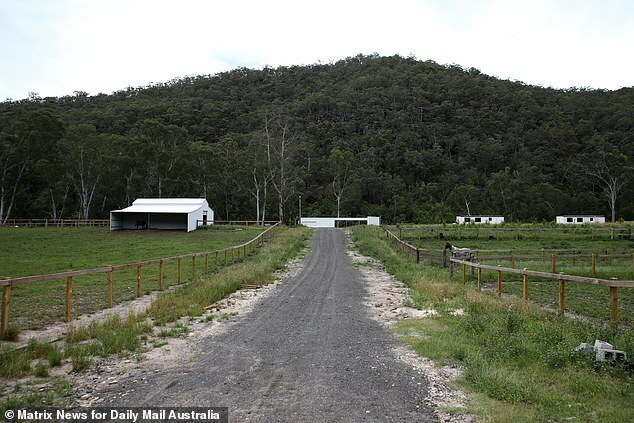 However, Dr Kara-Ali said he and his brother were intimidated by the actions of the ‘violent monkeys’ and anyone could enter the site as long as they did not do so under a cross. Dr Kara-Ali wrote to Hawkesbury City Council in March explaining another reason why he believed government had no authority over his group. ‘The Colo Wilderness site is a religious site that is owned by the members of Diwan Al Dawla for the carrying out of religious activities of devotion, self-discipline, ritual baptism, inter-community prayers, contemplation and religious study, he wrote. 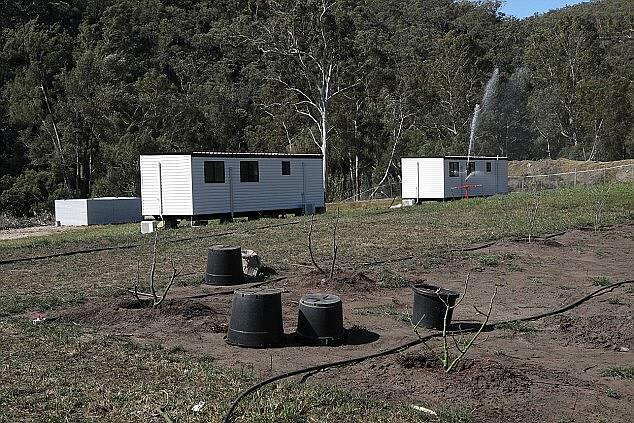 Dr Kara-Ali contended Hawkesbury City Council had no power to tell Diwan Al Dawla what to do because it is a ‘basic religious charity’ registered with the Australian Charities and Not-for profits Commission (ACNC). ‘Charities who meet the definition of Basic Religious Charity do not have to submit annual financial reports, and they do not have to comply with the ACNC governance standards which include… “Compliance with Australian laws”,’ Dr Kara-Ali wrote. According to the imam, that also put his guild above the law. The Kara-Ali brothers are due back in court on Monday when Justice Sheahan will hear evidence about what they have done to comply with his orders.